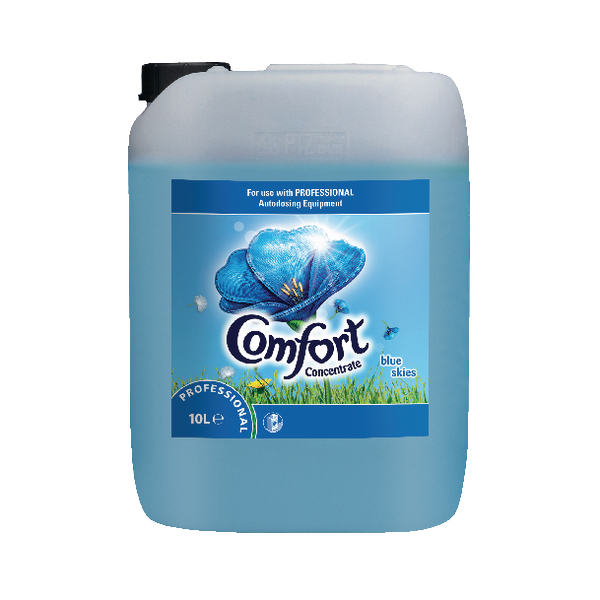 This Comfort Concentrate Blue Skies will provide a lasting fresh fragrance of outdoors and help prolong the life of fabrics. Suitable for auto dose machines this fabric conditioner will reduce static, reduce the time spent ironing and give superb softness to your fabrics. Comfort Concentrate Blue Skies Auto Dose 10L 100942427 recently.